What are Santa's helpers doing at Christmas Time? 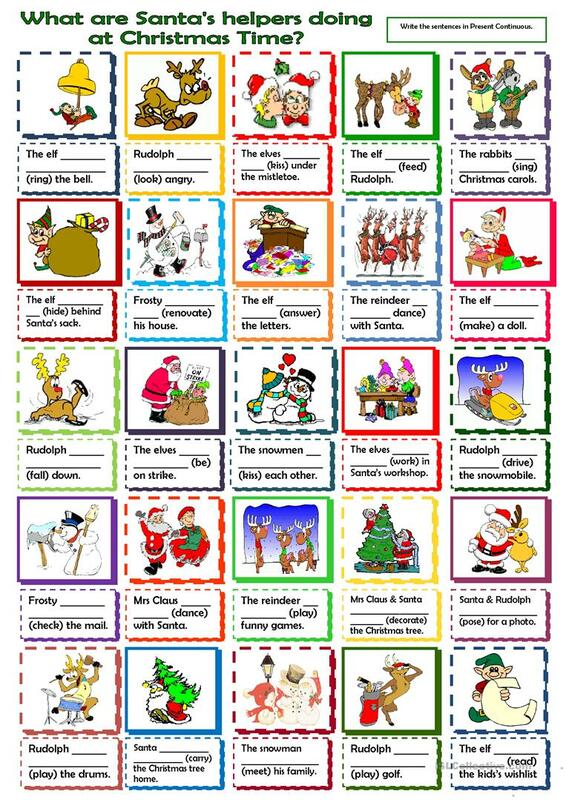 Fill in the given verbs in Present Continuous. This downloadable worksheet is meant for high school students and elementary school students at Pre-intermediate (A2), Intermediate (B1) and Upper-intermediate (B2) level. It is valuable for consolidating Present continuous (progressive) tense in English, and is a valuable material for honing your pupils' Writing skills.